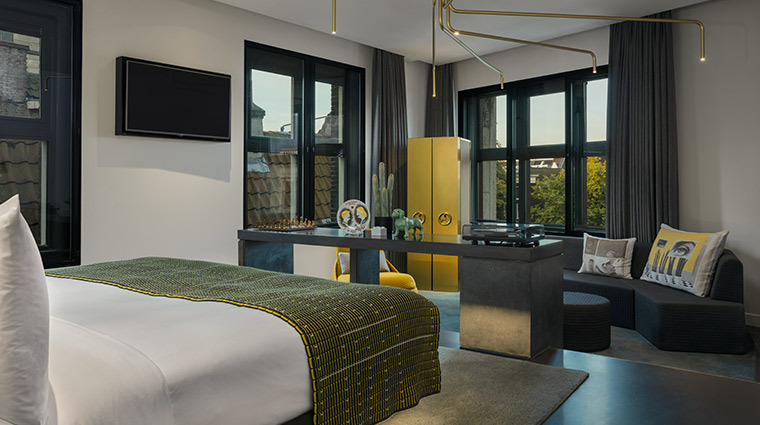 Situated just steps away from the Royal Palace and Dam Square, W Amsterdam effortlessly mixes hip design with Dutch heritage. 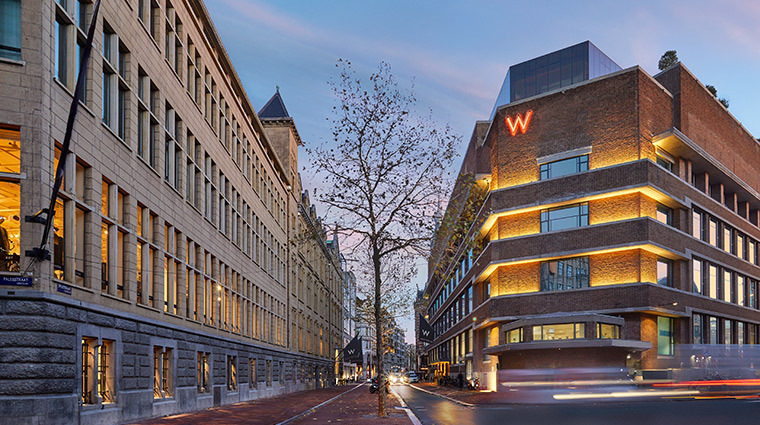 W Amsterdam is divided across two structures: the Exchange and Bank buildings. Built in 1924, the former was inspired by Frank Lloyd Wright’s Larkin Building, and it originally housed the telephone switchboard of the Royal Dutch Post. 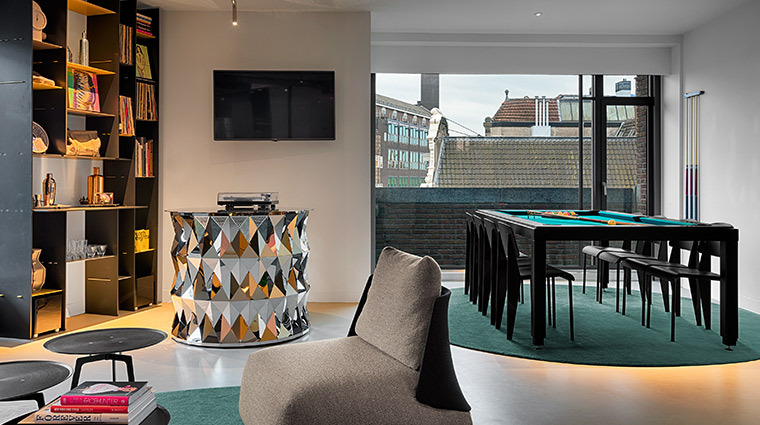 Nowadays, it is home to the vibrant W Lounge, a heated rooftop pool overlooking the Royal Palace, nearly 4,500 square feet of meeting and event space and modern steakhouse Mr. Porter. Located across the Exchange lies the Bank Building. Built between 1906 and 1908, this structure housed the KAS Bank for 99 years. 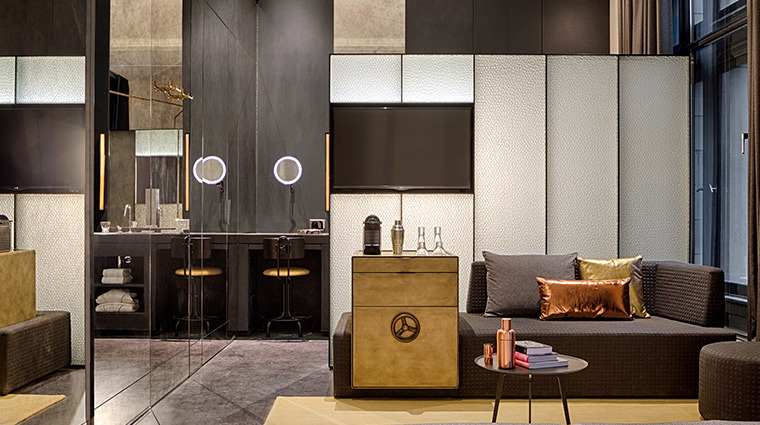 While the Exchange is a trendy hot spot for guests and locals, the Bank Building offers a more exclusive and sophisticated city retreat thanks to its lavish Away Spa, Fit gym and detox X Bar. 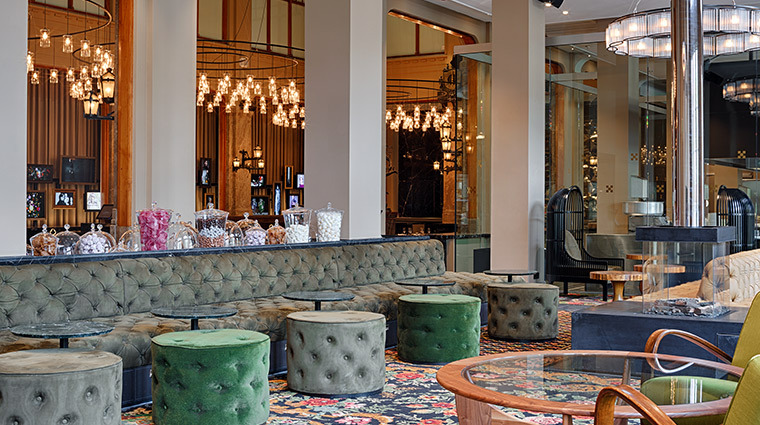 You can choose your preferred travel style at this Amsterdam hotel. To enjoy the city’s lively party scene, the Exchange Building is where you need to be. 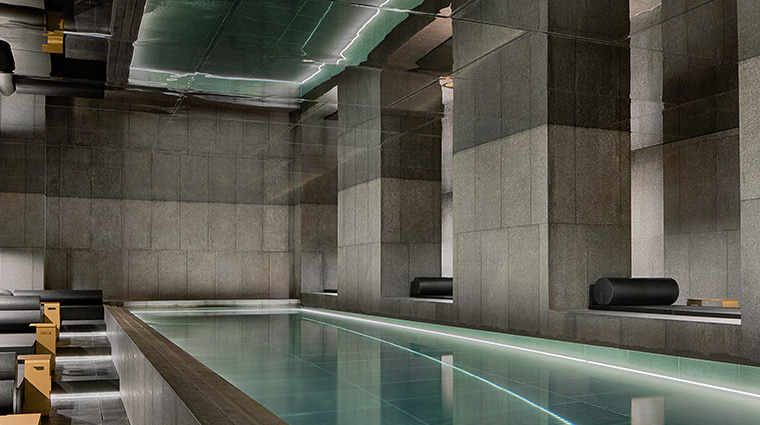 However, if you prefer a more relaxing and tranquil atmosphere, it’s best to book a room in the Bank Building. 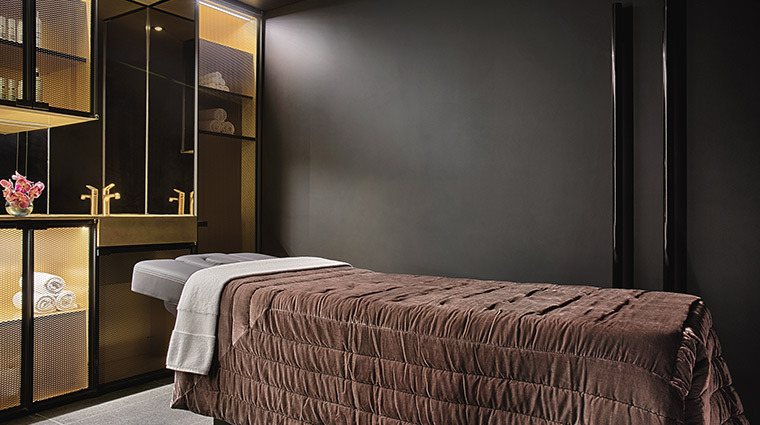 The Away Spa is an urban escape that offers a variety of relaxing treatments and packages. 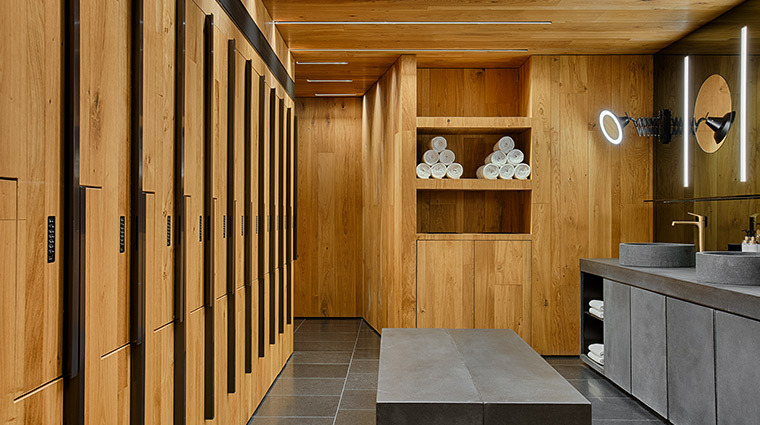 All guests have free access to the spa facilities as well as the gym. 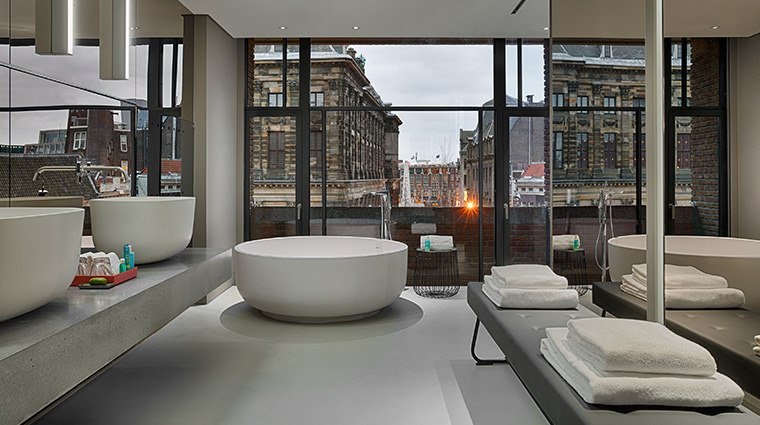 Dreams become reality with W Amsterdam’s Whatever/Whenever service. Simply press the Whatever/Whenever button on the phone in your room, and the team will get you reservations, a tour guide or anything else you might want, at any time. As long as it’s legal, of course. 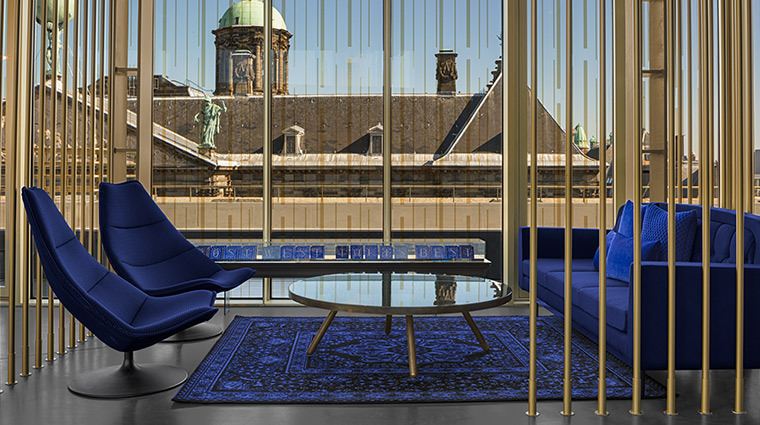 For the ultimate Amsterdam selfie setting, check out the city’s first heated rooftop pool overlooking the Royal Palace. You’ll want to have one of W Lounge’s delicious cocktails in hand, of course. 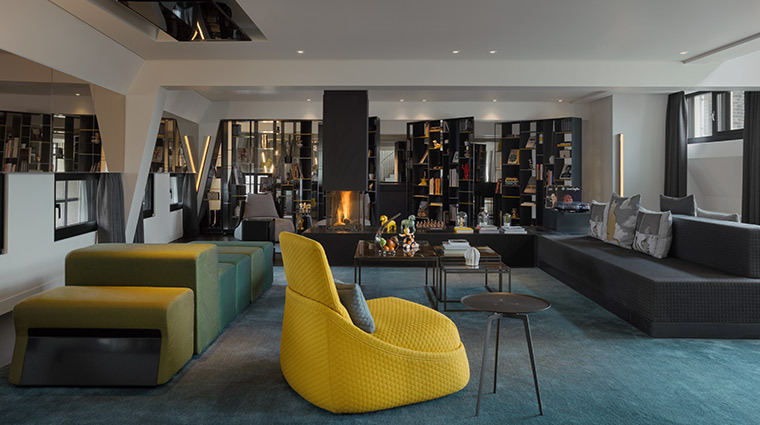 Don’t forget to stop by X Bank, a 7,500-square-foot well-curated shop where you can peruse the hottest fashion, gadgets and art that Amsterdam has to offer. If you have booked accommodations in the Exchange Building, be aware that the rooms overlooking the courtyard don’t offer a lot of privacy, unless you keep the curtains closed. The check-in desk at the Exchange Building is on the sixth floor, next to the W Lounge. 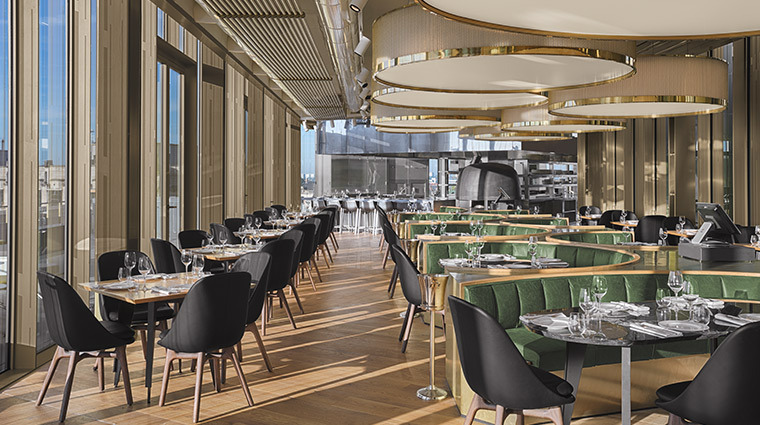 The hip hotel’s restaurants, Mr. Porter and The Duchess, are very popular, so it’s best to reserve a table in advance to avoid disappointment. 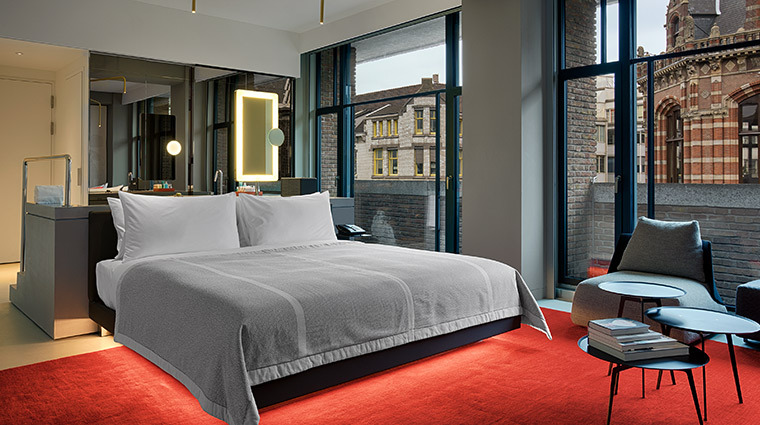 The Exchange offers 172 stylish rooms, including 10 suites. 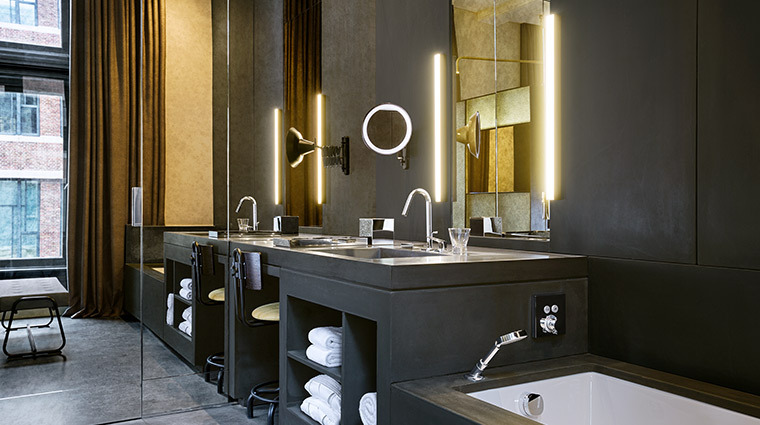 All accommodations feature a contemporary design influenced by Amsterdam and the history of the building. 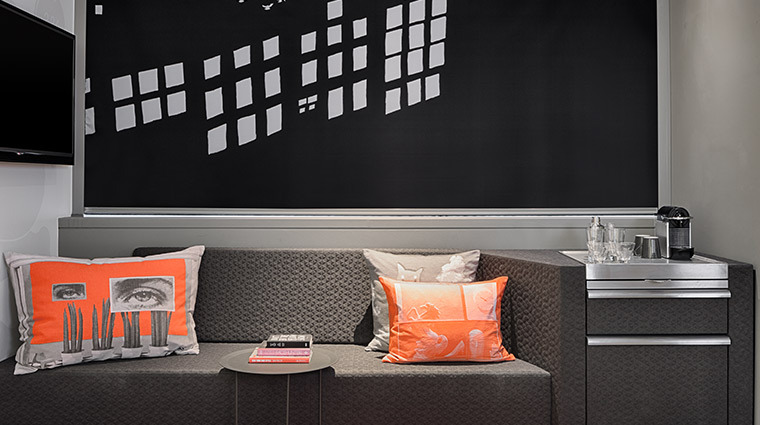 Sabrina Bongiovanni designed the pillows and used the windowsills of the canal houses as inspiration. 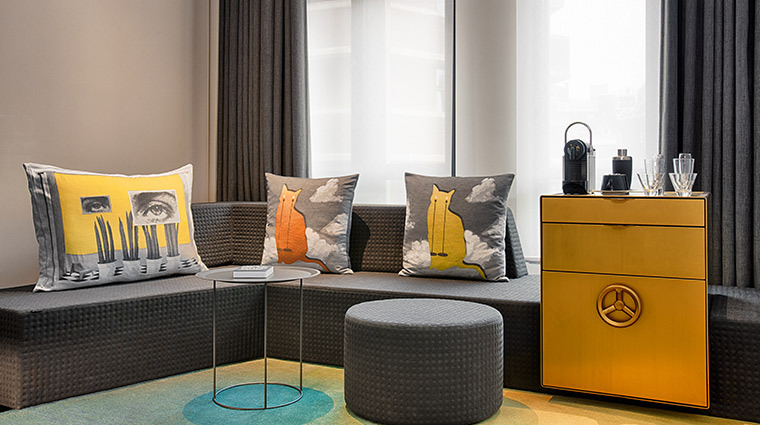 The bedspreads, conceived by Bertjan Pot, tell small stories about Amsterdam and Dutch culture. The Bank Building has 66 luxury rooms and sophisticated suites. 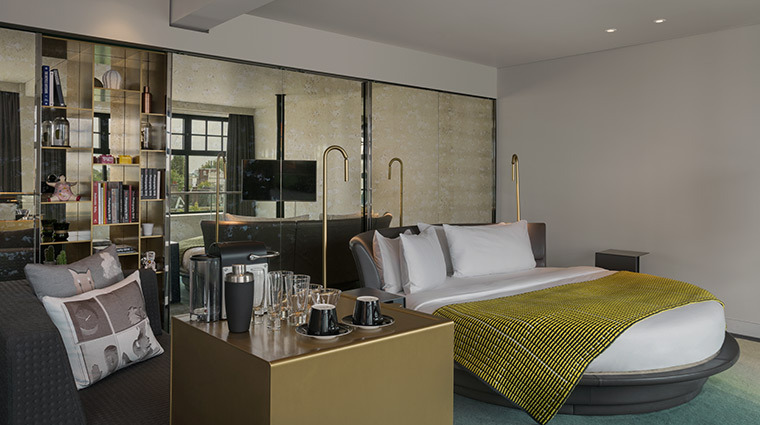 Dutch textile designer Aleksandra Gaca created the black-and-gold bedspreads in the spirit of the original bank vaults. Said vaults are a recurring theme, as all the minibars in the Bank Building are shaped in the form of them. 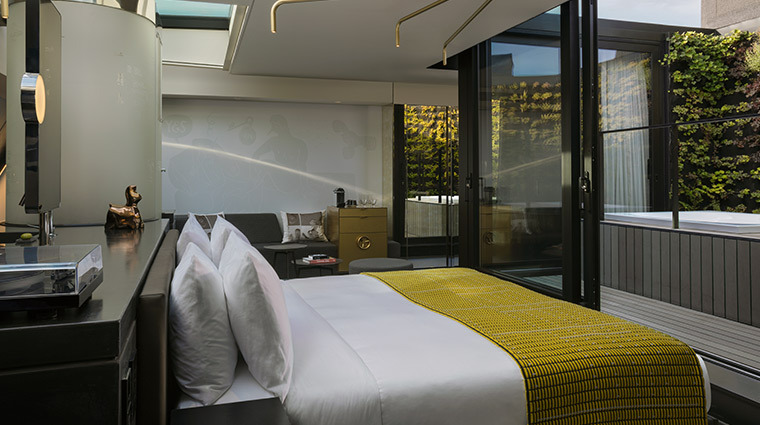 All rooms are equipped with a luxury W bed, 400-thread-count cotton sheets, open-concept bathrooms and Bliss spa products. For the best accommodations, book the Extreme Wow Suite Bank. 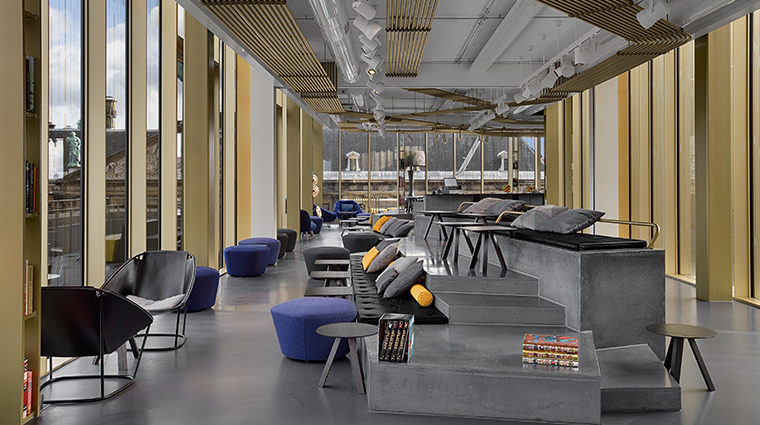 The 1,969-square-foot playground in the Bank Building has a separate seating area; a large, round W bed; a Jacuzzi; magnificent canal views; and more. 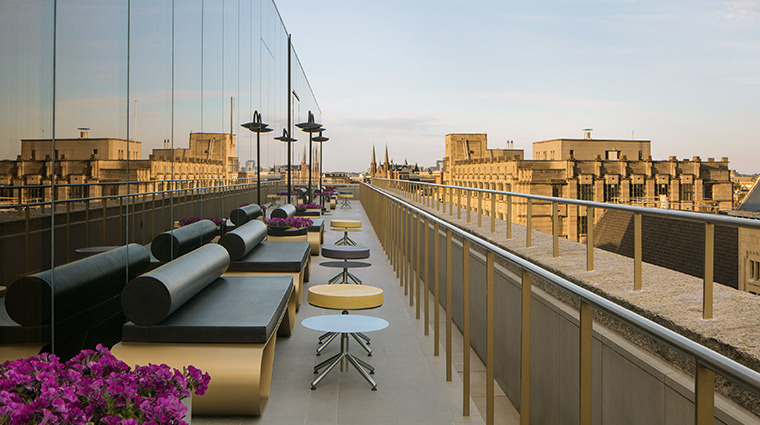 The heart of the trendy hotel, W Lounge, affords captivating 360-degree views of the city. Here you can relax to an edgy mix of soul, hip-hop, Afrobeat, funk, disco, deep house and techno by Manuel Zeeman (aka Smooth Talkin), W Amsterdam’s music curator. Be sure to also order a sip from the impressive cocktail menu. Experience luxurious fine dining at The Dutchess, Hotel W Amsterdam’s renowned restaurant. Be in awe of the building’s original splendor (high ceilings and the touches of gold and marble) while admiring a menu that combines the subtle flavors of the South of France and Italy. At Amsterdam’s signature burger bar, The Butcher, nosh on scrumptious fast food delivered with elevated culinary standards. Exclusive. Intimate.No guest list. No membership. Strict dress code. This is Mad Fox, W Amsterdam’s nightclub. It’s open every Thursday (11 p.m. to 4 a.m.), Friday and Saturday (12 a.m. to 5 a.m.).